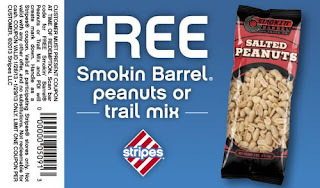 Free Smokin Barrel Peanuts or Trail Mix @ Stripes stores. Expires 1/29/13! Click below to go print your coupon & take it to you nearest Stripes store to redeem.